Quality Management System and the ISO 9001:2015 Standard - Quality Pursuit Inc.
As you may recall, we discussed the ins and outs of a Quality Management System (QMS) in a previous blog post. The separate processes that are used to plan, build, or conduct and deliver products and services in accordance with company quality policies and objectives make up the company’s QMS. How can you ensure that your company maintains these processes and procedures? There’s an international standard for that! The requirements for the creation and maintenance of a QMS are defined by the popular ISO 9001:2015 standard. This standard assures that the QMS your company uses has considered all of the potential sources of customer dissatisfaction and requires efforts towards the continual improvement of the QMS. We have touched on a few of the clauses, or subdivisions, of ISO 9001:2015 below. 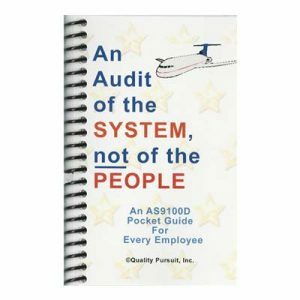 For an overview, description, and interpretation of each clause included in ISO 9001:2015, purchase our ‘An Audit of the SYSTEM, not of the PEOPLE’ ISO 9001:2015 pocket guides today and utilize them for your entire team before, during, and long after the audit process! Requirement: Broadcasting, clarification, and application of your organization’s documented quality policy must occur. Interested parties with the need to know must be equally informed of your organization’s quality policy. Possible Actions by Auditors: The auditors from your selected registrar will conduct a thorough review of your quality policy document(s) initially. Auditors will conduct a survey randomly from the employee population to assess the understanding of quality policy statements. Requirement: ISO 9001:2015 specifies that your organization consider the following as they use a required systemic approach to revise the QMS: (1) the reasons for the change, (2) the effects of the change, especially upon the QMS, (3) the availability of people, equipment, space, and other resources, and (4) the redistribution of authorities and responsibilities, if necessary. 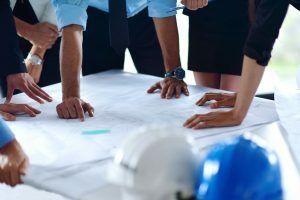 Possible Actions by Auditors: The auditor will seek out the existence of and compliance with acceptable internal requirements for dealing with changes. The auditor might initiate a discussion around the four topics mentioned above. Requirement: The requirements are calling for the utilization of the following for the cause of progress in continual improvement of the effectiveness suitability and adequacy of the QMS: outputs of analyses, outputs of evaluation, management review outputs. Identified opportunities for improvement must be acted on. Possible Actions by Auditors: Be prepared to offer objective evidence of your efforts and results of continual improvement to the auditors from your registrar. Our ISO 9001:2015 pocket guide includes a breakdown of each clause with conveniently highlighted requirements and possible auditor actions so you can fully understand the standard and anticipate what is expected. Help your entire team become ISO fluent with our ISO 9001:2015 pocket guide! 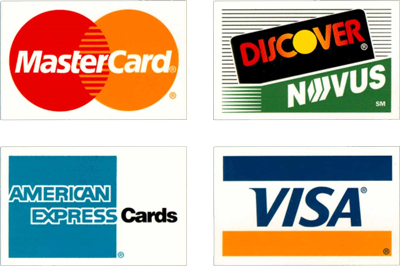 Quantity discounts conveniently available right on our website! Make your purchase today.